The reported death of Horace Silver last year fortunately proved to be premature. Sadly, this time round, it isn't. The all-time great modern jazz pianist and composer died yesterday (June 18). 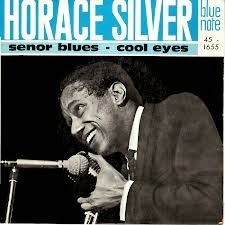 Silver, with Art Blakey's Jazz Messengers and later the Horace Silver Quintet, provided some of the pivotal moments of post bop modern jazz recording many albums on Blue Note. His compositions such as Senor Blues, Cape Verdean Blues, Quicksilver, Filthy McNasty and Song For my Father are just some of the pieces that have become part of the standard repertoire of many bands great and small. In the north east his music has been has been well represented with much love and respect by Peter Gilligan as well as by vocalist Debra Milne. Sadly missed - Rest in Peace. Sorry to hear this sad news. Anyone remember the sides he recorded with Stan Getz? From the album Tokyo Blues.